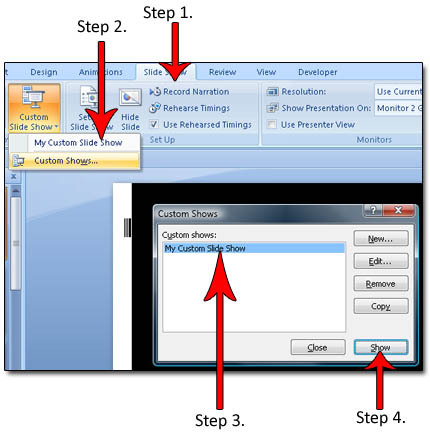 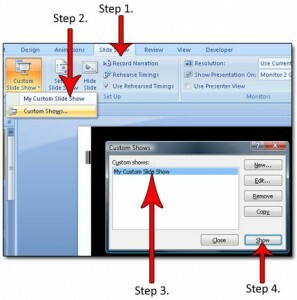 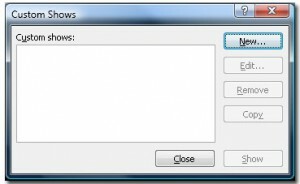 Through use of Custom Show in Microsoft PowerPoint 2007, presentations can be tailored for multiple audiences. 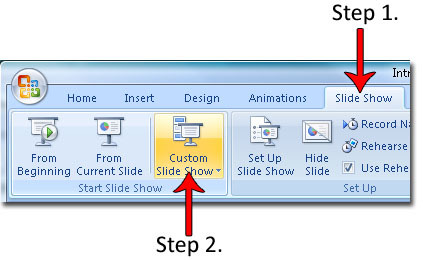 The way PowerPoint does this is the presenter can choose which slides to present to a particular audience. 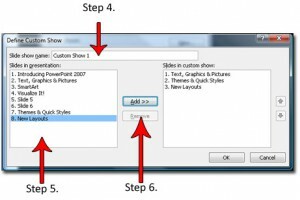 Step 4.Type a name for the Custom Show in this area. 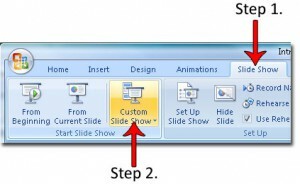 This will begin the presentation!